WikiLeaks founder Julian Assange is asking Ecuador for asylum, while Sweden seeks to extradite him from England. Sweden, in an apparently unprecedented move, is seeking to extradite and imprison someone without charging him with a crime -- after having refused opportunities to fully question him in England. We don't know the facts behind the sexual assault accusations against Assange and can take no position on them. We take sexual assault seriously. But the WikiLeaks leader is seeking protection from the United States, not Sweden. Sweden has a record of bowing to U.S. pressure, including the handing over of two men to the CIA in 2006 -- leading the U.N. to find Sweden complicit in torture. The United States has a record of, and an open formal policy of, incarceration without proper trial, solitary confinement and other abusive treatment, and the death penalty. Assange has the international human right to be protected from such a nation and to request asylum elsewhere. Assange, neither charged with nor convicted of any crime, is acting out of fear of our nation's abuses of the rule of law. It is the same fear that has led some of his WikiLeaks colleagues to quit doing the work that has so benefitted the people of our country and the world. 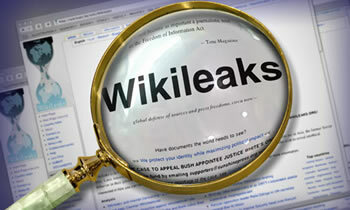 Ask Ecuador to grant asylum to the WikiLeaks founder. Please grant asylum to WikiLeaks' Julian Assange to protect his human rights.